Over the past decade, there has been an increased interest in the use of natural supplements for our pets. 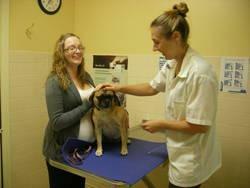 At Coventry Animal Hospital, we are exploring natural options to maintain and improve our pets’ health and wellbeing. These supplements are known as “nutraceuticals” – an active component is isolated from a plant or food and used to treat or prevent chronic disease. Cranberry extract supports urinary tract health. It contains compounds called proanthocyanidins that interfere with the ability of bacteria to attach to the bladder wall. This is effective against E. coli, which is the most common cause of urinary tract infections in dogs. Glucosamine and chondroitin sulfate support joint health and work better if given together. These products are normally found in healthy joint cartilage and shellfish. Glucosamine and chondroitin sulfate can slow down and even reverse joint degeneration in animals with arthritis. This may mean better mobility and less pain for senior pets or pets with joint injuries. Lysine is an amino acid that has anti-viral properties for cats infected with herpes virus. Herpes virus can cause an upper respiratory tract infection in cats. This supplement can minimize the symptoms of sneezing, nasal discharge and goopy inflamed eyes. Milk thistle supports liver function. It contains the active component known as silymarin. This component acts as an anti-oxidant and scavenges free radicals. Patients with damage to their liver by toxins or diseases, as well as pets on long-term medication that can potentially harm the liver, benefit from this product. Omega-3 fatty acids have mild anti-inflammatory benefits. These products are often found in marine sources. Conditions that involve inflammation, such as skin allergies and chronic kidney disease, benefit from a high dose of this essential nutrient. Probiotics are live beneficial bacteria that promote intestinal balance. These good bacteria populate the intestine and protect it from harmful bacteria and pathogens. This supplement may improve stool quality in pets with diarrhea and restore healthy bacteria in patients that have taken antibiotics. Unlike prescription drugs, nutraceuticals are not regulated. This means that they can be sold without scientific proof of efficacy and mandatory testing to determine the correct dosage. Research has shown that many commercial products may be contaminated or do not contain the active ingredient. There are a lot of reports of these supplements improving animal health, but scientific investigation is ongoing and not all products are created equally. 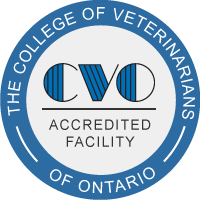 For this reason, we recommend consulting our Veterinarians at Coventry Animal Hospital before starting your pet on any nutraceutical.